This guide, the third edition of the NFRCs guide to good practice, is an accessible and practical code of practice in the application, design and installation of profiled sheeting and wall and roof cladding. The UK has developed very cost-effective methods of erecting and cladding factory, warehouse and storage buildings. This book distills the knowledge of many of the leading experts in this area of construction with hands-on site experience. 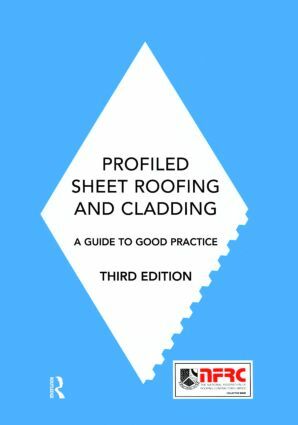 Profiled Sheet Roofing and Cladding, Third edition sets out principles whereby all necessary components can be successfully integrated to provide a weather-tight external envelope that meets all the required performance standards. The special requirements of insulated structures are also considered. It gives up-to-date advice and information which takes account of the exceptional requirements specified and the consequent developments which have occured since the second edition was published in 1991. Written for all construction professionals concerned with getting the best value solution for their profiled sheet clad buildings, the guide aims to assist in increasing cooperation between the designer and contractor and to inform all members of the building team about the abilities and applications of products.